What an experience it was! Those moments we spent without water or food, the blazing hot sun over our heads and the long endless walks to the school every day. Those unforgettable days, hours, minutes and moments we have experienced. I would not want to change it for the world! These memories are to be cherished for life as they come as a package. Anyone reading this report will think ‘why on earth would someone cherish and not change these difficult moments for the world?’ well let me tell you! All these painful and unbearable moments come alongside those beautiful moments we spent with the most amazing children in Chitwan (Nepal). I left two of my own children for three weeks, out of which I spent just under a week in Delhi (India) and just over two weeks in Nepal. I could never have dreamt of going in such a rural village and spending two weeks of my life without proper food or water and especially away from my husband and two children. But I did and those two weeks of my life has shaped me in such way that no money could purchase. It made me view life in different perspective. It opened my eyes to a completely different world. It gave me hope for my children and their future and made me believe that if children of Nepal despite of having the basics can stay happy and aspire to achieve the best in life then so can my children. My children have luxurious life in comparison to children at ‘Happy Home’ and children at ‘Dhanuji Lower Secondary School’. It made me question myself as to why am I taking what I have for granted? These children find their happiness in the smallest thing they have and not to forget finding happiness in each other. When I remember some of the moments of my experience with the children it brings tears to my eyes that gently rolls down my cheeks, however, with it comes a gentle smile of happiness. I remember the day I got the resources out for the girls at Happy Home. The big smiles on their faces are unforgettable. The joy of having new resources to play with and to work with made them so grateful towards us. I can only say a big ‘thank you’ to ‘Elenor Peel Trust Fund’ for giving us the funding so that we were able to use the money to buy not only a big amount of resources but food that we cooked for them, which was different from their usual ‘dhal bhat’. This was another memorable day, when my friends and I cooked a different meal for the girls; the gratitude they showed us was amazing. Another moment I remember with the girls was one rainy night; the girls stayed awake for a little while to spend some time with us as rest of the other volunteers went out for a meal. Along with myself, my friends, the girls and Basanti (house mother) sat outside in the balcony area. It was such a beautiful moment as the sound of rain was so soothing and relaxing at the same time. We sang and danced so freely and just enjoyed that moment in each other’s company. Basanti sat me down and brushed my hair and pleated my hair into French plat. That was a remarkable moment that will be cherished forever! With the girls at Happy Home we made most of it and we became like a family. They became attached to us as we became attached to them. Although, at times the heat and water would make me feel as I wanted to come home as quick as possible, yet the thought of leaving them behind would bring tears to my eyes. 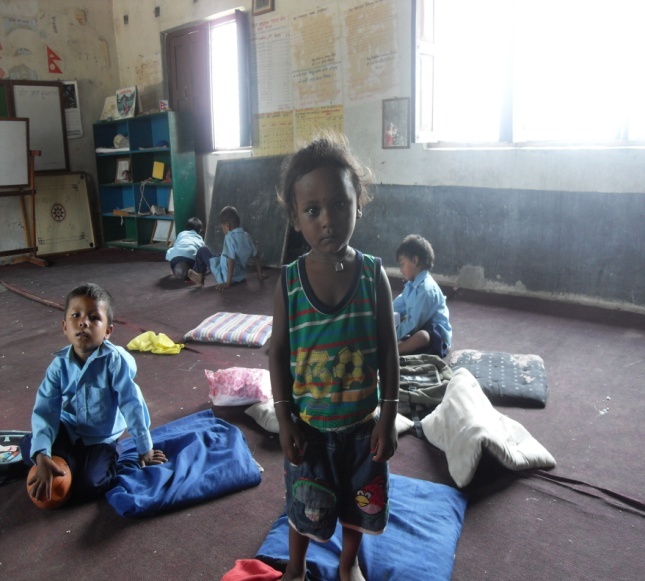 My experience at Dhanuji School would probably the most loved placement experience at a school. It was such a unique experience, I can guarantee and say that regardless of how brilliant my placements may be in the UK, nothing will beat the experience I gained in Nepal. Every member of the school was a pleasure to work with, whether it was he teachers or the children or even the lovely care taker. How they pampered us and made us feel so wanted it was just incredible. I do not think any of us ever experienced so much love, warmth and a sense of belonging in a school placement as we did at this school. The experience I gained there was to teach from the age of three years to fourteen years old children. We never knew what was coming for us, it was always a mystery, not knowing what class we will be asked to go and teach. I guess that is what made it more fun for us because we had to think of an activity on the spot and be successful in delivering it in way that learners engage best. We always worked as a team, it taught me to become confident with not only my own self but to have confidence in my partner and taught me to work collaboratively with them. On our last day we bought so many melons as a treat for the teachers and the pupils, which we cut and served our selves. It was probably the most unusual thing people do when they go to a placement. However, it was a kind gesture from us to say ’thank you’ to everyone at Dhanuji. The reason we chose melon was due to the weather being so hot therefore, it would cool them down. Well to be honest we thought of melon because all children appreciate melon at the school as many children actually cannot afford to buy it because it was so pricy, as most children came from really poor families. Therefore, it would be a nice way for us to treat them all equally and show our gratitude. Teachers and pupils at the school had also planned a lovely leaving ceremony for us, which included all the teachers and all three hundred children. They made us garlands and gave us a lovely letter to go in our QTS folder; which was really appreciated by all four of us. Our last day at Happy Home was very emotional! 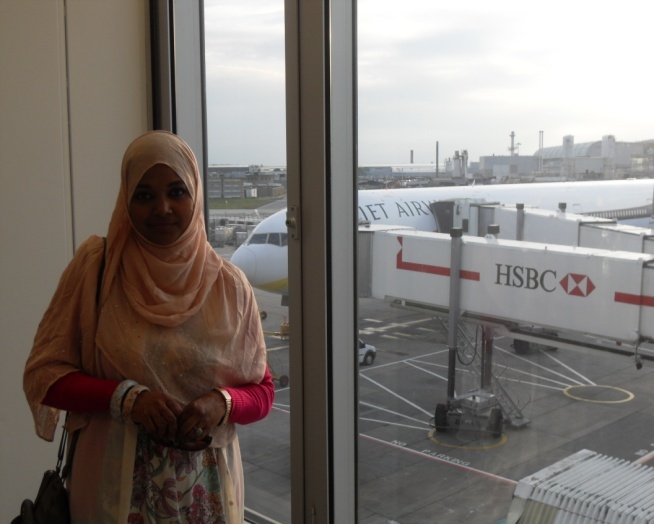 As much as I missed home and my children and wanted to be back home, I suddenly realised I was finding it so painful to say ‘good bye’ to the girls. My heart broke, thinking of leaving them and possibly never see them again. The relationship I built with hem is irreplaceable! The bond we all have nothing can break it, yet I could not do anymore for them as I wanted to do. Did you ever feel you are leaving a place physically but your heart has been left behind? This is how I felt! I left with happy memories and a journey that will be unforgettable. It has been a journey that formed me to become who I am today. I want to become a teacher not only to educate pupils but to change their lives for the better and make a small but significant difference in shaping them to become an individual they can feel proud of. I want to be a teacher who helps children find their true identity. Our day at Wetherigg Zoo – 8th November 2013 by Jenna Eccles and Sarah Massey. We are two second year Occupational Therapy students who have never volunteered before (shame on us!) and we have recently signed up to Career Ahead which requires us to complete 100 hours’ worth of extracurricular activities so we decided to kick start this with a trip to Wetheriggs due to our interest in animals. This sounds selfish we know, but why not make voluntary a mutually beneficial arrangement?! 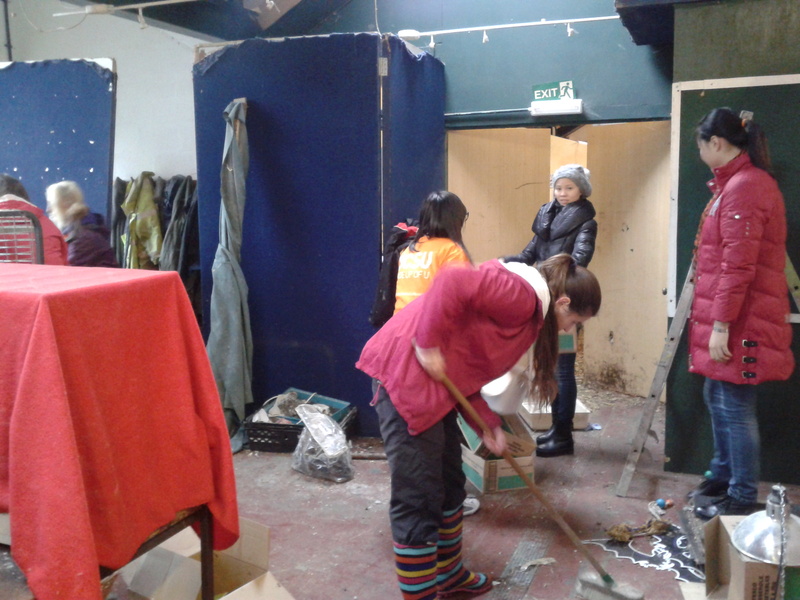 We split into two teams: the first team helped to sweep and rake leaves from the footpaths to allow visitors safe access around the sanctuary and the second group began to tidy up a back room previously used for storage to make way for a parrot aviary. After a coffee break both teams swapped roles. For us, this was the type of work we expected to be carrying out – quite physical but also very productive and you could really see the difference after we had finished which gave us a nice sense of achievement!!! 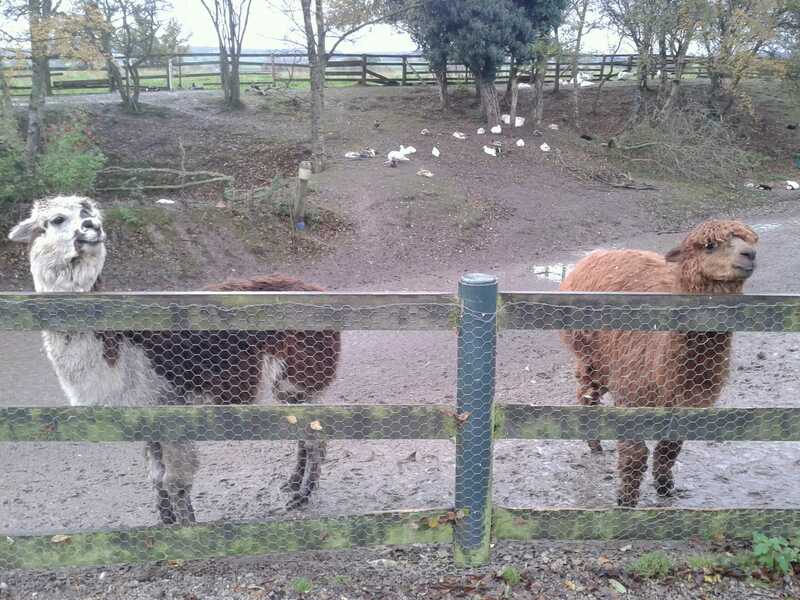 Plus when we swept the leaves outside we got chance to make friends with the alpacas and donkeys! After lunch, we got time to explore! Wetherigg currently has over 1600 animals, ranging from rabbits to racoons, parrots to pigs, foxes to ferrets! Many animals are rescue animals taken in by the sanctuary, making our volunteer work even more rewarding; contributing to the staff’s hard work. We got to experience feeding the meerkats out of our hands which was nice – although we weren’t too keen on holding the mealworms! They were highly inquisitive and a highlight of the trip for Sarah. Jenna’s highlight came a bit later when she faced her fears and held a snake! The staff at Wetheriggs were kind enough to take time out their busy day to give us a talk on some of the reptiles including a 2 week old baby corn snake and a blue tounged skink named Bob. Overall, it was a brilliant day out despite the cold and showery weather! We both agree it was actually much more fun than first anticipated; it wasn’t all work work work and was really nice to feel that we made a difference! 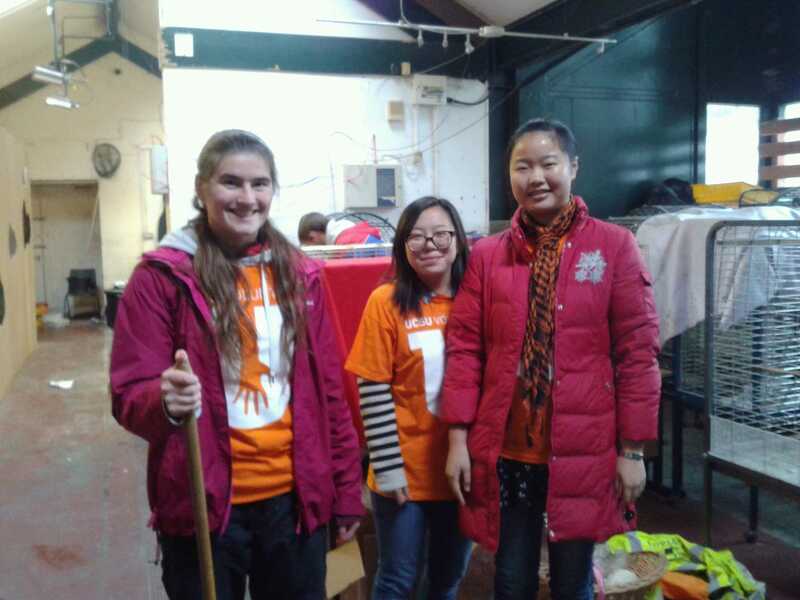 We would definitely volunteer again and hope our blog inspires others to give volunteering a go! !